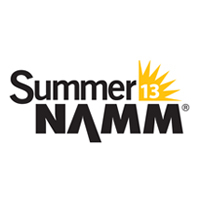 Check out the DrumLine Battle Summer NAMM Showdown, 12 p.m.–1 p.m., to see some world-class competing. Drum Corps International's DrumLine Battle events provide marching percussion ensembles from across the globe with powerful opportunities to compete head to head against each other in exciting new ways in a confined “battleground” environment. Come and cheer for your favorite local high school drumline as they compete for the title. Bring your island spirit and join your industry peers at the Community Ukulele Circle, 1:30 p.m.–2:30 p.m. Brought to you by Kala Brand Music, instruments will be provided for this strum-along—no experience necessary. Plus, there will be a drawing for a free Kala Travel Tenor—don't miss out on your chance to take this beautiful instrument home! Beat the Nashville heat at the Community Drum Circle, 3 p.m.–4 p.m. Brought to you by Remo, Inc., just come by, pick up a drum and find your rhythm! Stay tuned for more information on these community music-making events and more at Summer NAMM!